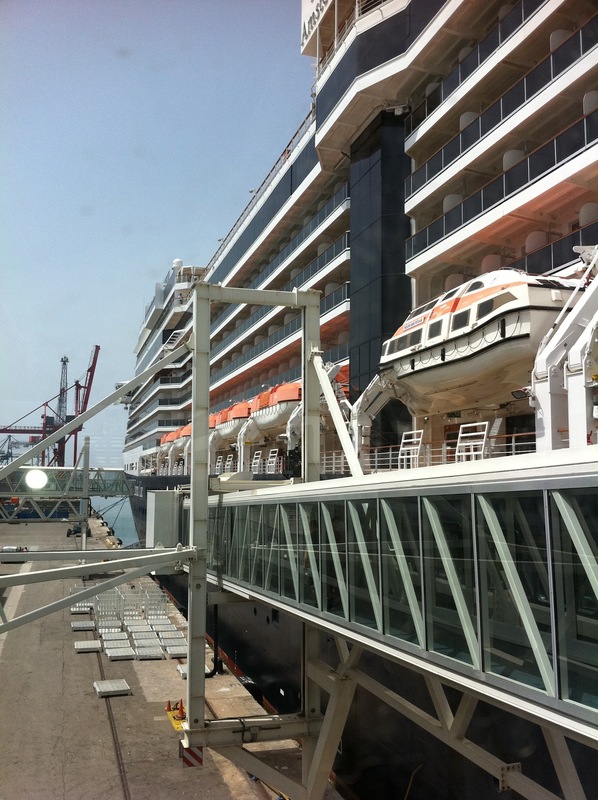 Cruise time…I know you are thinking “cruise” seems awfully un-chic！Well I disagree! I think the key is taking a specialty charter…in my instance it’s a GAY charter…2,000 gay men from allover the world ready to party! They bring in their own djs and entertainers and totally customize the experience. There are charters of all kinds, so check it out! I am setting sail for the entire Spanish coast including Morocco! Tonight is dancing on deck and a performance by Kimberly Locke (you will remember her from American Idol). Bon Voyage from Holland America’s newest ship, m/s Nieuw Amsterdam! « Older Post Drunk on Sangria & Design! » Newer Post Hit by rough seas!